The Aquatics Center is built around a 50-meter by 25-yard pool with two bulkheads, springboards and platform diving boards. There is bleacher seating for 800 spectators and an underwater observation gallery. 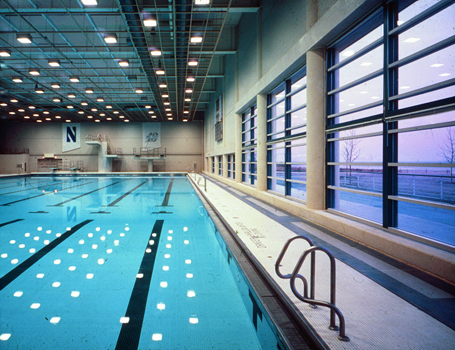 This facility won the 1989 Facility of Merit Award for outstanding design from Athletic Business Magazine.